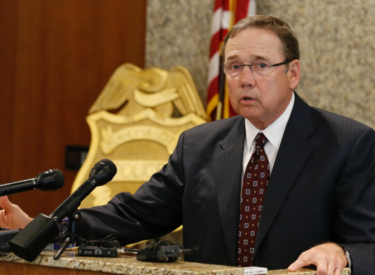 OKLAHOMA CITY (AP) – Oklahoma City’s police chief says he plans to retire in May after 15 years as head of the city police force. Police Chief Bill Citty announced his May 2 retirement Thursday in a letter to City Manager Craig Freeman. Citty started his career as a patrol officer in 1977 and became chief in October 2003. Citty says he has worked with a diverse group of people to try to improve the quality of life in Oklahoma City and has been inspired by police officers who are tough but compassionate with people in crisis. Citty is the latest veteran of Oklahoma City’s government to announce his retirement. Longtime city manager Jim Couch retired earlier this month after 31 years and Assistant City Manager M.T. Berry is retiring effective March 7.